Beans On Toast has premiered his latest music video for new track ‘The Chicken Song’, taken from the upcoming album ‘The Grand Scheme of Things’. 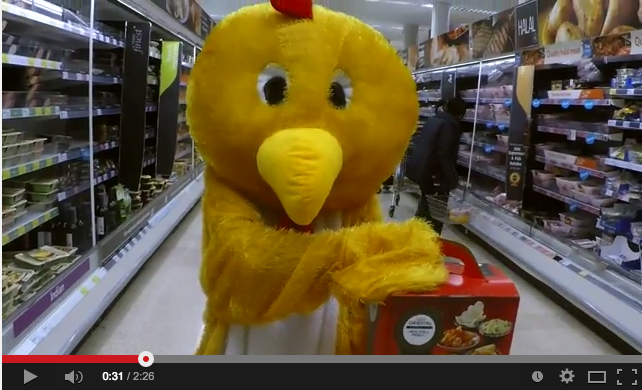 Inspired by factory farming and the meat industry, the song explores the change in tides as chickens plan their revenge on the humans who have eaten them for so long. With a little help from head chicken Bobby Banjo, Beans On Toast shows off his talents for homemade music videos and sharp wit once again! ‘The Grand Scheme of Things’ is set for release on Bean’s birthday, 1 December, via Xtra Mile Records. 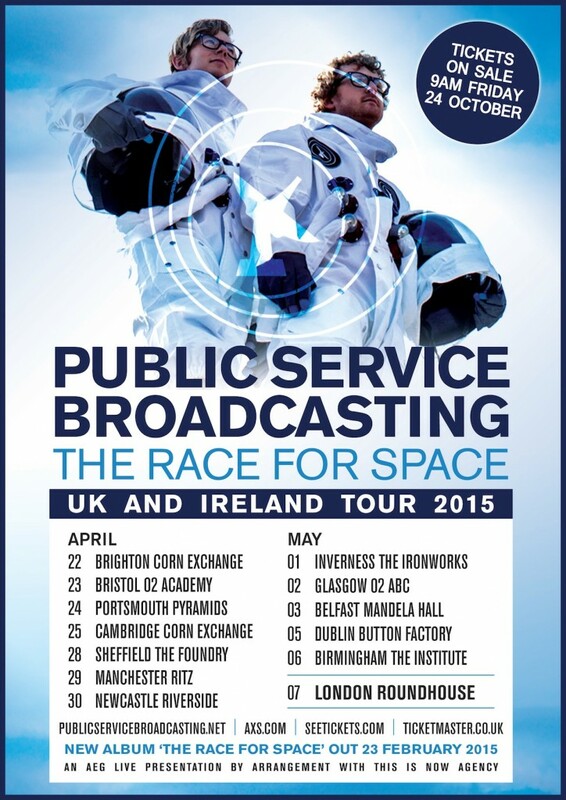 Following the critical and commercial success of their debut album last year and 18 months’ extensive touring across the world, Public Service Broadcasting are pleased to confirm the release of their eagerly anticipated second album, The Race For Space (February 23 2015 via Test Card Recordings). To mark the occasion, the band will perform two very special live transmissions from the National Space Centre, Leicester, on 26 & 27 February 2015 (now sold out) as well as heading out on a full UK tour, ending with their biggest headline show to date at London’s Roundhouse. The band announced details of their new project during a live Q&A as part of the Lost Lectures series which took place – fittingly enough – at the birthplace of broadcasting, London’s Alexandra Palace. They also premiered a short trailer for The Race For Space, setting part of President John F Kennedy’s famous 1962 Rice University Stadium address to an ominous and atmospheric backing. Watch the trailer here. Recorded at The Pool Studios and Abbey Road in London and, once again working with exclusive archive footage from the British Film Institute, the new record will tell the story of the American & Soviet space race from 1957 – 1972 via the duo’s eccentric mix of guitar-driven electronica, propulsive drumming and spoken word samples culled from this uniquely rich period of modern history. The Race For Space follows Inform – Educate – Entertain, Public Service Broadcasting’s debut album which reached #21 in the UK album charts and was nominated for ‘Best Independent Album’ at the AIM Awards 2013, as well as being The Guardian’s Album of the Week and one of BBC 6Music’s Top 10 albums of 2013. The new album will be supported by a global tour, starting in Australia and New Zealand, travelling on to SXSW and North America before returning to Europe. Additionally Public Service Broadcasting have been invited to be the sole support for Kaiser Chiefs on their upcoming arena tour early next year. The first track from the new album will be revealed soon and we can’t wait. Tickets for the UK tour go on sale at 9am on Friday 24th October from here. 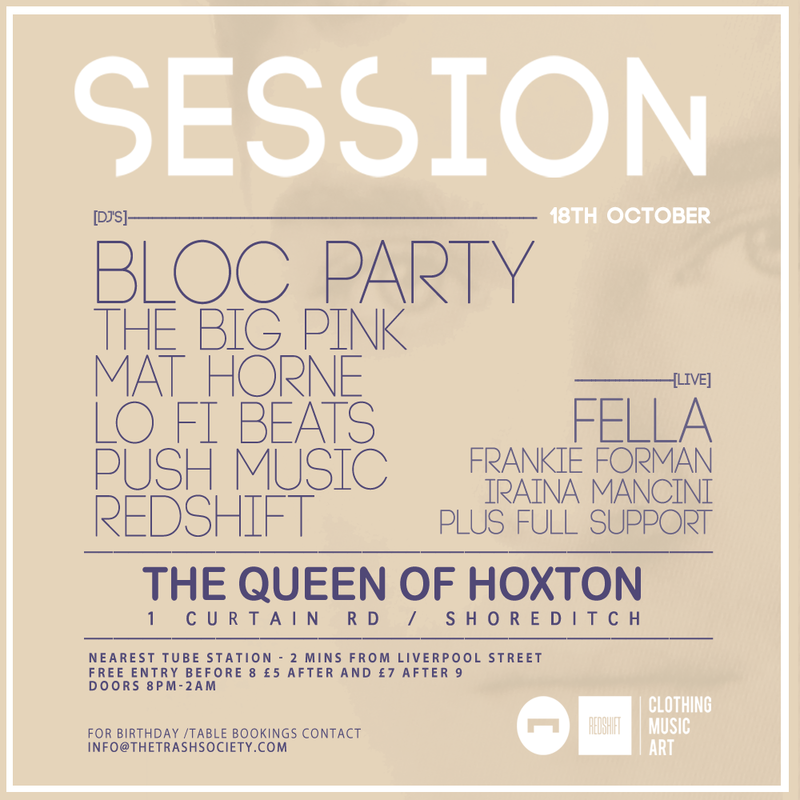 On Saturday 18th October, the wonderful Frankie Forman will be playing at London’s Queen of Hoxton as part of the Matt Horne Presents night. 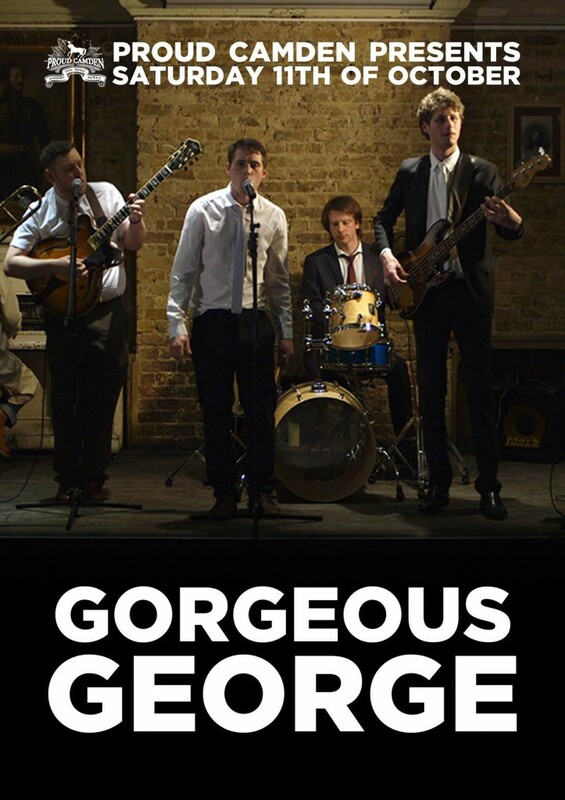 Handpicked by the promoters, Frankie and musical partner Johnny will be playing from 10.30pm and by the looks of it, it’ll be a packed out venue! For more information head to the Facebook event page here. 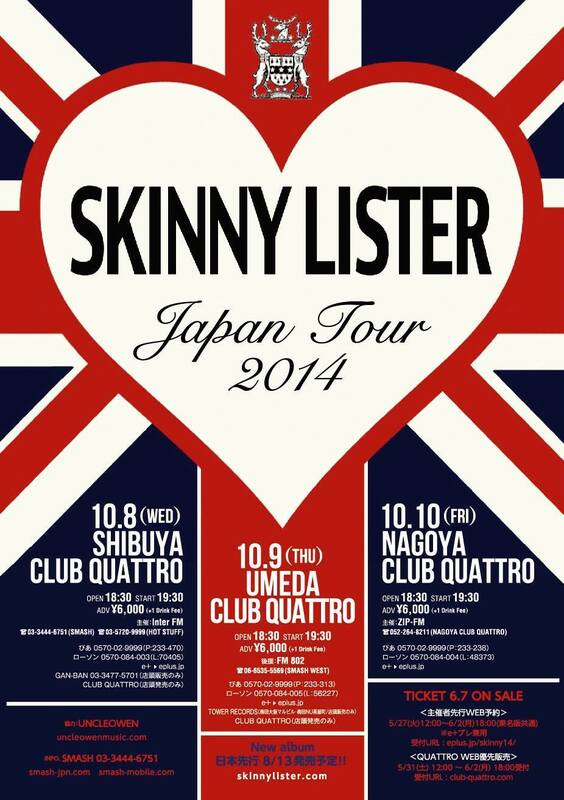 Following on from a busy summer, Skinny Lister are on the road again but instead of their usual stomping grounds of UK, Europe and the US, this time the band are ahead further a field with 3 dates in Japan! With a good response to the band’s new album already being heard, these shows should cement the band as being ‘big in Japan’.